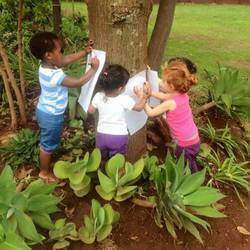 We are a small, Private day care centre in Ruimsig on the West Rand, offering one on one attention from ages 3 months up. Your child will be very busy during his/her school day where they will be exposed to all different activities to develop him/her as a whole- in all the different areas of development. Your child will be developed emotionally, socially, physically and intellectually. We have worked out a very specialized, age appropriate and fun curriculum that is not only best for your child, but your child will thoroughly enjoy. Because each child is different and not all child learn in the same way, we have incorporated Traditional Teaching and caps curriculum with elements of Montessori, Glen Doman and Reggio Emelia to expose your child to the best elements of each unique way of teaching opposed to just one. 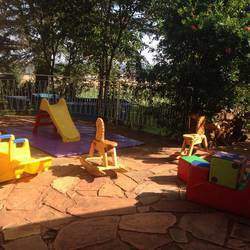 We at Willow View Private Day Care Centre believe that this exposure will give your child a huge advantage and the best foundations we can give them in their prime age for learning and development. Our curriculum is fun, age appropriate and lots of sensory development and learning through concrete materials. The class teacher will do an ongoing observation of your child throughout the year which will be recorded. A basic / age appropriate report card will be given out in April and again at the end of the year. A parent/Teacher interview will be set up as well to discuss your child’s progress and development. A portfolio consisting of some of your child’s work will also be handed out at the end of the year. 1.Spiritual and Moral: We are a Christian based school, therefore we have Bible time during the week. We teach our little ones basic Bible stories, songs and we pray before each meal. We will also celebrate Christmas and Easter and have themes throughout the year like – Noah’s Ark. 2. Morals, self-help Social and emotional development and Discipline: The dignity of each child is respected at all times. Positive guidance is used to assist every child to substitute inappropriate behaviour with appropriate behaviour. We teach the children morals such as taking turns, being patient, helping others, and being kind, loving and caring. We also teach basic practical life skills such as: cleaning after yourself, washing your hands, taking care of belongings, not talking with your mouth full, setting a table and so on. 3. Language/Literacy development: Auditory, Memory, association synthesis, sounds, blending, rhyming, pronunciation skills, vocabulary development, role play, educational games, videos, colours, shapes, music, puppet play, theme discussions, show and tell, role play, story,. 4. Cognitive/ perceptual: Numeracy, mental math, measurement, data handling, space and shape, understanding numbers and value, recognise numbers, addition, subtraction, equal, puzzles, left to right, dominoes, matching, opposites, colours, sequence, pattern, block plays…. 5. Gross motor/large motor development: Ball skills, throw, catch, kick, roll, run, jump, hop, skip, gallop, balance, core strength, rolling, crawling, climbing, obstacle courses, rolling tress, skip ropes, fitness, stamina, hoola hoops, balls into buckets, throwing toward objects, bean bags, cycling, sandpit play. 7. Science and Technology: We stimulate the child to explore, question and discover their world. 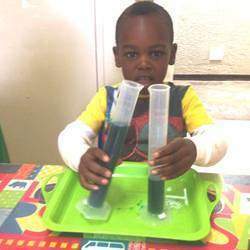 We incorporate science experiments, Power point presentations and thematic projects into our curriculum and themes.